Ken Jacobsen, The TM Group Inc.
Microsoft Dynamics GP – don’t miss the season finale! Business intelligence – its contagious! Peachtree can be a good starter accounting program but lots of companies we work with just plain outgrow it! When they get over a certain number of transactions or customers the system is basically just maxed out. So it is a good idea to compare Peachtree to Microsoft Dynamics GP. I read an interesting report from ASA Research Report and I was able to glean 12 Reasons a Company Should Upgrade from Peachtree Accounting Software to Microsoft Dynamics GP. First, you're probably saying to yourself, "How can they even compare Microsoft Dynamics with NetSuite it's apples and oranges? 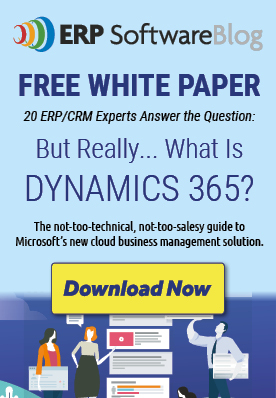 NetSuite is a SaaS (Software as a Service) application and Microsoft Dynamics GP isn't." 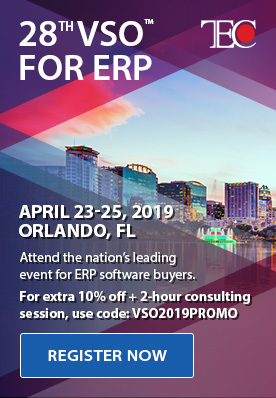 But that's only partly true, while NetSuite is strictly a SaaS application, Microsoft Dynamics GP can be configured either on-premise or on-demand-expertly hosted by a Microsoft Partner. So let's start our comparison right there. In today’s economy all companies are looking for ways to save money. Instead of upgrading their accounting software, lately I have seen that some companies are considering “rightsizing” their accounting software. Companies that own Tier 1 ERP systems like Oracle, JD Edwards & Peoplesoft don’t want to pay the hefty annual maintenance fees. And they realize that they don’t use much of the complex functionality provided with these systems. So I have been getting calls from companies who want to compare Microsoft Dynamics GP as an option. Microsoft Dynamics GP can give them the functionality they need at a fraction of the price.